Most married couples know how it goes. You start out in the throes of passionate romance only to have the fire cool over the years–especially when kids come along or life gets too busy. But keeping the romance alive is easier than most people think. 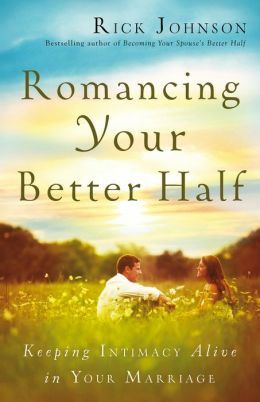 Now the author of Becoming Your Spouse’s Better Half shares the secrets of pursuing romance that won’t quit. With wit and wisdom, Rick Johnson shows men and women how to communicate effectively with their spouses, recapture the feeling of young love, incorporate romance and intimacy into everyday life, understand each other’s unique sexual needs, and more. Anyone who has been married more than a couple of years will find useful insights and solid advice that will strengthen their marriage now and into the future.